Let He who taketh the Plunge Remember to return it by Tuesday. The facts, normally so liberal (or at least anti-conservative), continue to support libertarian views on gun ownership. 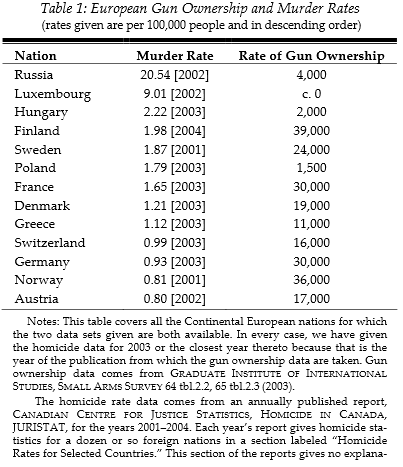 “Would Banning Firearms Reduce Murder and Suicide?” (pdf). Don B. Kates and Gary Mauser in the Harvard Journal of Law and Public Policy. They take apart all the usual arguments in considerable detail, with extensive footnotes (it’s not really a 46 page article; many of the pages are half footnotes).